Organizations typically employ Enterprise Resource Planning systems in an attempt to streamline existing processes. This book is also an ideal reference for business schools and researchers. Leslie P. Willcocks is Andersen Professor of Information Management and E-business at Warwick Business School, UK, Associate Fellow at Templeton College, Oxford, and is Visiting Professor at Erasmus University, University of Melbourne, and Distinguished Visitor at the Australian Graduate School of Management. ERP projects: good or bad for SMEs? 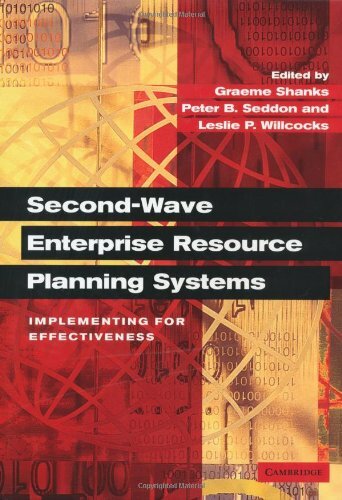 Implementing Enterprise Resource Packages? Consider different organisational and national cultures!